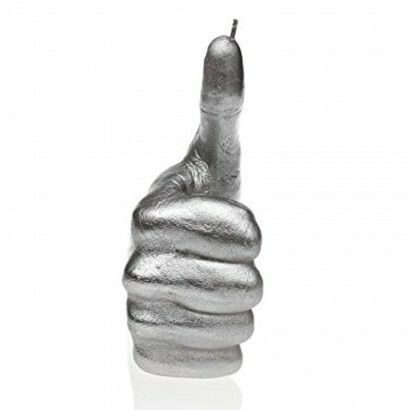 A simple gesture that reassures that everything's gonna be OK, the thumbs up is a universal symbol, from social media "likes" to quite simply "I'm OK". 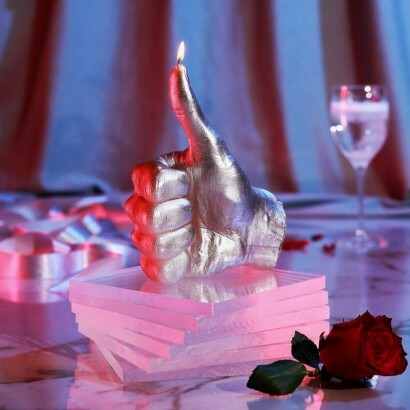 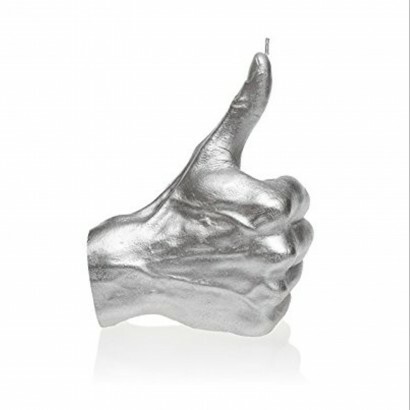 A large and substantial candle molded on a male adult hand, this feel good candle is made from real wax and finished with metallic silver for a very modern feel. 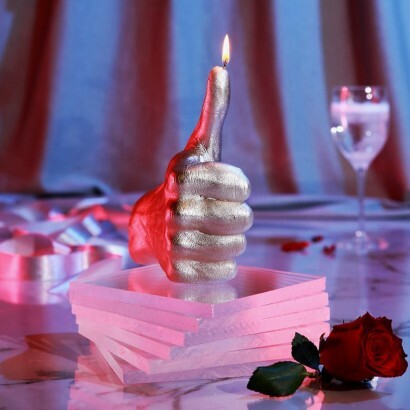 Simply light the thumb for flickering candlelight that will last for a whopping thirty hours and show the world that all is good.